TVs over the years have got thinner, but a giant plasma on the wall still dominates your living room and is a bit dull to look at when the TV isn’t on. So I was interested in the idea of trying out the Epson TW-650 home cinema projector, which we were recently sent to review. A projector is a great way for creating a cinema experience from the comfort of your own home and it is much more unobtrusive when it isn’t in use. So this is what was in the box when we got it out. It’s quite easy to set up and the controls are instinctive. In fact, H set it up in the living room for a while and I set it up in the bedroom and we both found it really easy to operate. We liked that batteries were provided for the remote – the last thing you want when you have invested in an product like this is to be hunting around for batteries and potentially not being able to be able to play with your new toy because you didn’t have any in the house. It works in a very similar way to a TV (as you’d expect I suppose). The main thing to think about when you have a projector I think is where to site it in terms of both where you will get a good picture and the practicalities of the cabling. Depending on how you use it you will at least need to connect it up to the mains for a power supply. So it’s worth thinking about where you would plug it in and where the cable would go. If you plan to connect it up to a DVD player or computer, you need to consider these cables too. HDMI and computer cables are provided in the box with the projector and whilst they are a generous length, you might need your cables to stretch a touch further. There isn’t necessarily a need for connection cables at all though if you use its built in wifi and the iProjection app (you can download this from the App Store or Google Play). But, if you want to link up to your DVD player or games console that’s very possible too. My pictures were taken in the height of the day and whilst I did draw my fairly ineffective curtains, the room was still very light. Despite this I did feel that the image was clear and bright. Apparently this is all thanks to 3LCD technology, which produces an equally high White and Colour Light Output of 3,100 lumens. Epson’s 3LCD technology delivers a clear image that doesn’t have the ‘rainbow effect’ you get with some 1-chip DLP projectors. Focusing the projector is simple and is done by a sliding mechanism on the front of the machine. You’ll also find an easy to navigate control panel which is clearly marked or you can use the remote. 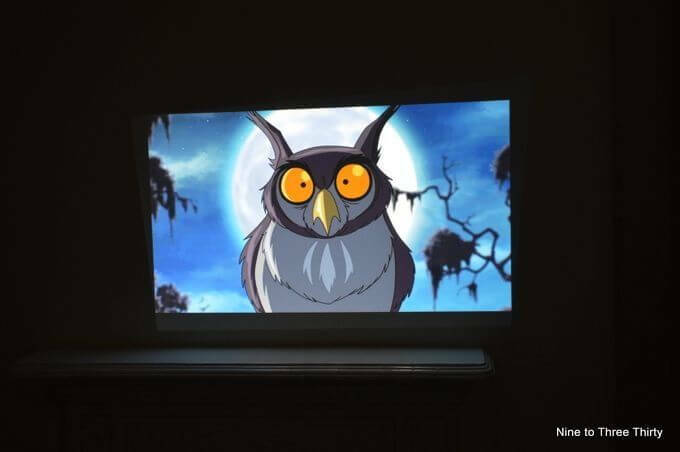 The sound quality from the projector’s own speakers is acceptable, but you can plug it into other devices to boost the sound for the full cinematic experience. 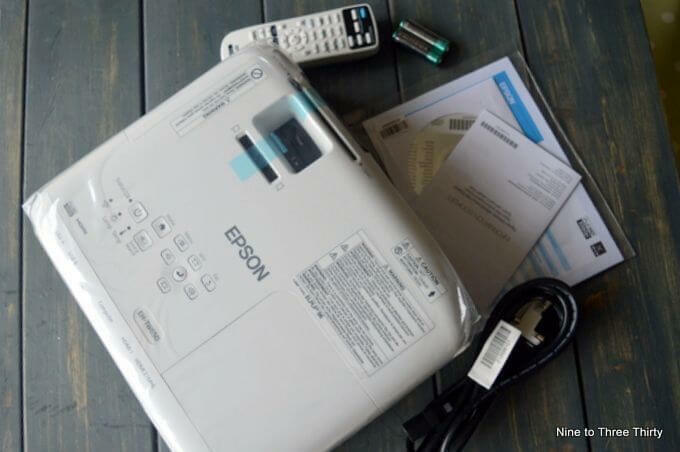 We’ve enjoyed trying out the Epson TW650 and have been amazed by how simple using a projector TV is. You can also buy accessories such as a soft carry case and a ceiling mount on the Epson website to help you get the full home cinema experience. The Epson Home Projector EH-TW650 retails at £599.99 inc. VAT. 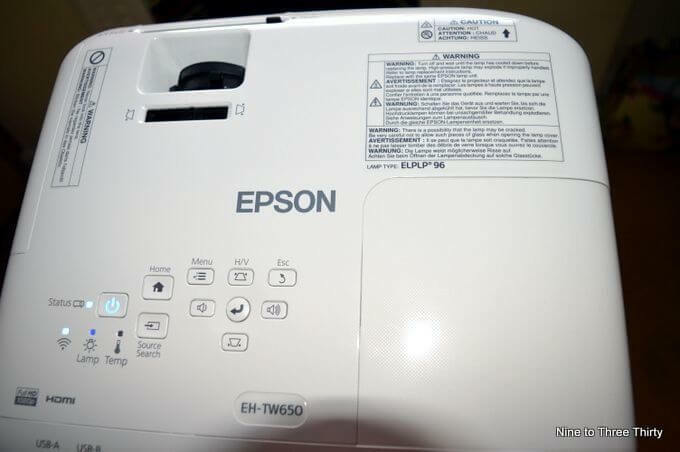 To find your nearest dealer visit the Epson website. It’s a good size isn’t it? I like the quality of the pictures too. I like the idea of not having all that wall space used up by a plasma screen, so I think a projector might be the way to go for me. The images look very clear considering they were taken in the light of day. 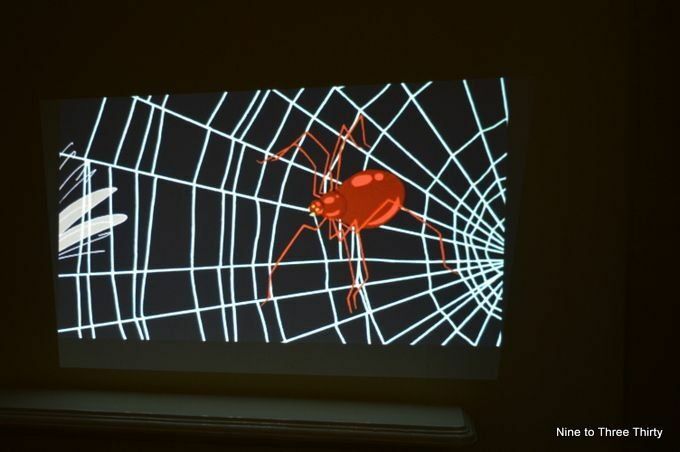 I like the idea of a projector to get that cinema feel in your home! We have one of these and it’s a great piece of kit. It’s great when the kids have presentations to do in school because they can practise in front of the whole family. This would be such a perfect addition to our bedroom. Will look into this. Great review. Wow, it looks really clear. I always think with a projector you won’t be able to see it properly, but I guess they’ve come a long way. Still pretty pricey though! Think I’ll stick to my telly for now, even though I’m sure my other half would love a projector. I’ve always wanted one of these, like a cinema in your home.